We all get old. We all get rickety and we all experience aches as we age. And guess what, our pets get old too. Senior pets require much love and attention. Just like any senior, they have lived a long honorable life and they have given us much love and service that they need the special treatment that any grandpa or grandma deserves. When Does a Cat and Dog Become Seniors. Cats and dogs age faster than humans. This is because they have smaller bodies and mature faster than humans do. When a cat or a dog turns one, he or she is about 15 years old in human years. When the cat or dog is at two he or she is 24 in human years. For cats, each year after their second year is equivalent to five human years. So if your cat is three years old, he or she would be 27 years old in human years. On the other hand a dog age varies depending on his size. Smaller dogs tend to live longer than larger dogs. A dog is aged 15 human years on his first year and 24 on his second year, regardless of the size. After this each human year is equal to four dog years until he is aged five human years. However what gets tricky is after six years, larger dogs start to age faster. For a small dog, he continues to age at four dog years per human year even after turning five years old in human age. On the other hand, a medium sized dog like beagle or a corgi, they will age faster after the fifth year of their life. Bigger breeds will age rapidly after. Medium sized dogs would be 42 years old on his six year, 47 on his seventh year and 51 on his eight year. From then on his aging varies. At 16 years old he will a grandpa of 87 in human years. For large dogs, by the time he turns six, he will be 45 years old. After that, he would age about five years for every human year. However as he turns 15 his age would be already 93 years old and about 120 years old when he becomes 16 years old. You can learn more about this by checking out the easy to understand diagram from the American Kennel Club. Senior pets may have special needs as they age. Their eye sight may become poor, they may have incontinence and may have difficulty peeing and pooping properly. They may experience painful bones and may have heart conditions. At worse animals may get cancer and other life threatening diseases. Senior pets still love to play and have fun but they may no longer run as much or jump as high as before. They maybe feel tired and weak because of strenuous activities. They may also develop moods and may become cranky with age. They may prefer sleeping more as well as feel depressed. They key here is observing your beloved pet’s behavior. 1. 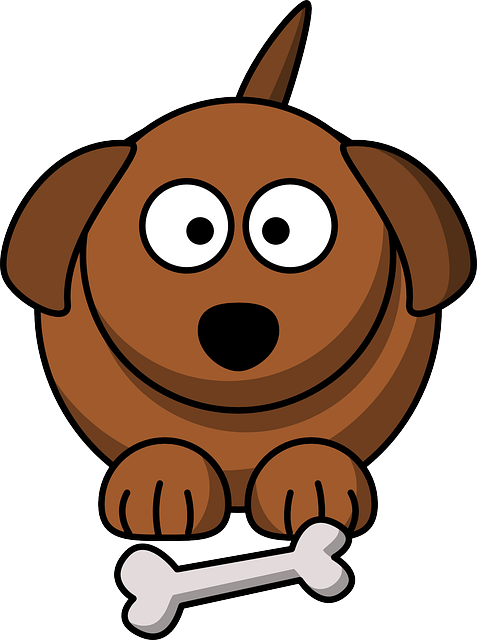 Visit the vet regularly – When your cat or dog or bird is young, visiting the vet once a year may be enough. However, as your pet ages, you may now need to start visiting the vet more. You may need to visit the vet twice or thrice a year now when your furbaby is just doing well. On the other hand, as your pet hits age six for cats and dogs, you may now need to visit the vet as needed. Simple colds may not be so simple and can be life threatening for older fur buddies. 2. Diet – Your furry companion will need a different diet as he or she ages. He or she may need wet food more since it is more difficult to chew. He or she may also need a special diet formulated for his age such as diets for kidney care, weight control, heart problems or even diabetes. You may need to have your pet’s teeth and oral health checked since he or she may not be eating as much due to painful gums and teeth. 3. Dental care – As we have talked about, your pet may experience tooth aches as he or she ages. Teeth may need to be extracted or cleaned by the vet. Most vets recommend an oral prophylaxis yearly. Brushing the mouth of your pet may also be essential or using a foaming cleaner to get rid of bad breath, plaque and prevent tooth decay may also be essential. 4. Blood work – Your dog or cat or bird or any pet you have may need to get his or her blood tested for diseases. You need to know his or her blood sugar, cholesterol levels, bun (liver) and creatinine (kidney) levels. You need to know if he or she has any issues by having his or her blood checked. 5. Activities – Older pets need to rest, but they also need to exercise. Many pets specially dogs, spiral down because they no longer get enough exercise. They don’t get enough walks and thus their joints tend to age faster. Activities such as walking are ideal for both senior cats and dogs. Excessive activities such as jumping about and fetching may no longer be good for them. 6. Toilet needs – Most cats and dogs of an older age may have accidents here and there. Never ever hurt them for this. They already know that they are getting old and a lot of times, being scolded badly for toilet accidents may make them feel sad and depressed. You may consider using a home tray for dogs and put several litter boxes at home for cats so that they do not need to walk far to do their business. At some point, some dogs and cats may need to wear a diaper since they may experience incontinence and may no longer have control over their bladder. Be very observant with your cat or dog’s toilet behavior. Most cats and dogs die because of kidney and bladder related troubles that go unchecked. If you observe that they can’t pee or have trouble peeing, rush them to vet right awy. 7. Keep them warm – Older pets need warmth more than younger pets. They may need now to have blanket as they sleep or even wear a pet shirt to keep themselves warm. Make sure to check on them if they look comfortable or not. Showing love to an older pet is the most important thing you can give them as they age. Many pets feel sad as they age because they sense that their owners no longer care about them or worse, make them feel like they are burdensome. Try to show them love all the time. Play with them, walk with them or just hangout with them. Make sure that on their latter years, they feel and know that they are loved. Remember they may have very limited time to stay with you and thus making sure that they are happy is important. I have many horses in my stable. I also have some ponies born to my mares. They are very cute, smart, loving and of course VERY LOYAL. Horses are known to exhibit loyalty and show love to their human friends even if there is a separation for a long time. Horses have been known in history as loyal friends of man that has aided him in battles and even tilling the ground. For me and my family horses are our cheerful and witty friends that we can ride to the nearest town or even play with. 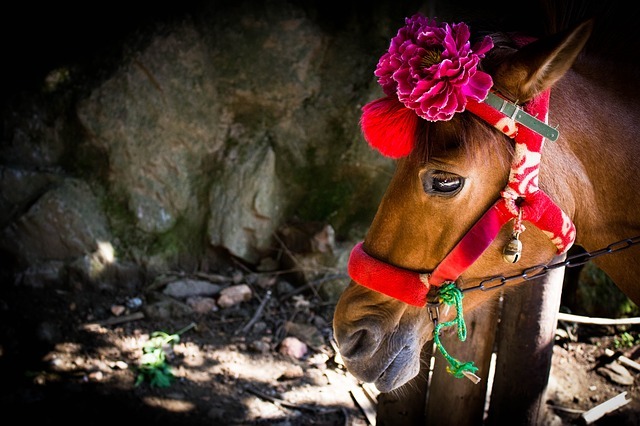 Horses are known to be loyal to their owners even if at times the owner can be harsh and hurtful to his horse. Sometimes even if the horse is overworked, this lovely animal still stays with his master. Horses are known to be loyal because in the wild they are essentially protective of the members of their herd. The females tend to their young and would defend them at all costs. On the other hand, males will try to kick off any intruder who try to harm a member of their group. When animals like wolves try to attack them, horses uses their strong hooves to kick the enemy away. They would group around their young in a circle and use their hind legs to kick as hard as they can. A horse kick is so deadly, that one hit can send you as far as fifty meters away. Horses become loyal to their owner because they consider them part of their herd or even their only family. This is why even if they do get hurt with a whip, they would still be loyal to the owner. Horses though would show more loyalty to owners who are loving and kind. Much like dogs, horses develop a better sense of loyalty through providing rewards after following a series of commands from their owners. I recently discovered that the army has a program that helps injured veterans from Iraq and Afghanistan to recover better through riding horse. They ride horses to help develop their muscles and regain the strength in their lower limbs. Many of these soldier have regained confidence by communing with the horses. On the other hand children with disabilities such as having down syndrome or autism join riding camps where they meet, play with and ride horses. After the camp the children show a lot of positive energy and self-confidence. This only shows that horses can work not only with adults and children but also with kids who have special needs. Personally I can attest with horses loyalty. When I go to travel abroad and leave the horses for a month or so, they can still recognize me when I go back and greet me lovingly. They play well with my children and have always been sweet and kind to them. My cats play with them too. When they were ponies and kitten, they play with each other and not that the horses are much bigger they still allow my cats to play with them. The dogs and horses get along well too. I know horses can be very good pets and friends to anyone! For thousands of years many people have wondered why do dogs and cats hate each other so much. Over the years, scientists have studied dogs and cats to find out more why they are so keen on clawing and biting each other out. Seeing dogs chasing cats and cats fighting back has been part of my day to day life, although my pets rarely fight each other since they have all grown up together and I never let them really hurt each other. So I tried to find out why dogs chase cats and why they try to hurt each other. Well I did watch a few videos too here and there and this video shows a very good and clear explanation why dogs and cats fight. 2. Dogs and cats tend to be defensive about other animals in the wild – Dogs and cats are of different species. They practically don’t speak the same language so the dog would get upset with another animal just being there. Cats feel the same. Cats feel animosity towards other moving creatures who they do not know too. 3. Cats try to observe then avoid then dogs chase them – Well cats are animals who like to observe their surroundings and know if there is something that can harm them. Now if they see this, they will run away. Unfortunately, dogs see that if an object is running or moving fast that it needs to be chased. Dogs are hardwired to chase and hence when the cats run, they run after them. On the other hand, cats really dislike being chased even if the dog is just being playful about it and so the fight arises. 4. Cats and dogs behave differently – I think that this is the most important reason why they hate each other. They cannot understand one another. The cat normally wags its tail and makes its tail bigger as a sign of aggression why the dog does that as a friendly gesture. This causes them to misunderstand each other and fight. Well I hope I gave you a bit of an insight on why dogs and cats hate each other. Well I think these animals can co-exist and live with each other in harmony if they are both shown enough love and attention. My furbabies all live in the same roof and all are happy with each other. Getting a rescue dog is noble act. Many dogs are abused or left behind by their owners for some reason. They long for love and companionship. Taking them home and caring for them would be a noble act of pure kindness. On the other hand, getting a rescue dog is also a big responsibility. It is much like choosing if you’d like to have kids or not. Dogs are live sentient beings that have feelings and do get hurt when their masters leave them. Being able to choose the best possible dog is important to have a happy household both for you and for the rescued pooch. Living in a big household and having children, I have taken a lot of consideration when I have adopted Kyra into our hold. She is a big golden retriever whose owner moved to a different country and really had to give her up. She was active and playful. She like to run a lot and play with the other animals. Kyra and my horses are good friends. She also plays with the kids and the cats well. I know lots about animals but Kyra was our first adoption and I had to read lots of stuff before I decided that she was going to be a new member in our family. And of course I asked my kids and my husband. Once everyone agreed it was time to bring Kyra home. Now since I found my beloved Kyra with some consideration, I’d like to share with you a few tips into finding a great rescue dog. What kind of person are you? – Dogs have different temperaments and attitudes. Your personality greatly determines what sort of dog you can live with. If you will be the primary caregiver for the dog, you must fully assess the things you do and the things you expect your dog to be. Are you the type of person who cannot tolerate noise and barking? Are you the sort who likes to watch TV or read books all day even on a bright sunny day? Or are you the type who likes the outdoors and wouldn’t mind breaking into a sweat to have an adventure? You must match your future dog’s temperament to yours. If you pick a dog who is highly active, say German Shepherd and you’re the type who hates going out then the dog would resent being always inside your house and would be restless. Check the dog breeds that suit your personality – You must find a dog who suits your personality well. Some dogs are active and love to play outside. Other dogs can just chill and relax with you at home all day much like a British Bulldog or a Pug. Active dogs such as Collies and Labradors can be great for playing outside. Labradors are great for kids too as well as Beagles. Knowing dog breeds can actually be helpful in your search for that rescue dog. 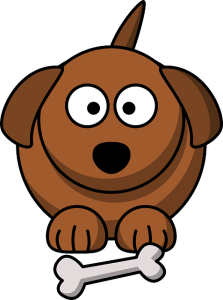 Meet the dog – Try to check if the dog is nice and friendly. He should not be aggressive towards you. If the dog actually likes you at first instance this can be good sign. But always remember the golden rule of having a personality match. The dog should be happy to see you at least. 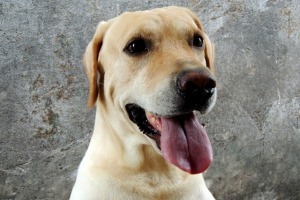 He would show signs such as wagging his tail, smiling and try to be close to you by going to the door of the cage. Some dogs though may be intimidated or scared in meeting you, try asking the personnel of the shelter if the dog is great around people or if he can be with other pets. Kyra and I was love at first sight. But I did not let my emotions get to me. I thought first if she was really for us. My children loved her. The shelter said she was a happy and active dog. Consider the time, effort and money you are willing to invest – Dogs are like kids, they have different personalities. They can be high maintenance or they can be pretty low key. They may need training. Teaching them to go potty is one thing you may consider. You need to think if you’re willing to spend for a trainer or do it yourself. You may think about the clean up too. Hairy dogs need to be groomed a lot, short coated dogs can be easily showered. What kind of dog food can you afford? Even if they are rescues they required quality food and care. You need to deworm them and check if they have fleas or had fleas previously. Proper hygiene is an important thing to consider because the pet will live in your house. While many people use branded chemical wormers such as Panacur or Drontal, its important to know that these tablets and creams can be harmful for dogs and especially puppies, and so its worth reading this useful article about natural dewormer for dogs and puppies. Do read it as you will find out that in certain extreme cases, dewormers cause death to dogs. Rescuing a dog is a kind and wonderful gesture. It gives that dog a new home, a new family and a new life. You must consider his needs too when picking the right dog. You and your new pet can have a happy home as long as you put enough thought into choosing the right one to a part of your life and your family. I hope this helps you in finding your new friend and family member! See you again soon! If you own a cat of course you want to ensure that you’re taking the best care of it and providing it with everything it needs to be happy and healthy. Many cat owners assume that some food and water, a clean litter box and a few toys are all that’s needed to keep their cats content and in good health, but this thinking may be shortsighted. Consider 3 surprising cat care tips every owner should know to keep their pet as happy and as healthy as can be. Invest in a cat water fountain. Running water is very enticing to cats; this is a natural reaction to them as running water is bound to be cleaner than water sitting in a puddle. This is why cats often like to jump on counters and drink from the tap, as the motion of the running water is what they love. A good cat fountain can encourage cats to drink more water and this is important as many cats are dehydrated and don’t drink enough when they are only provided a bowl of water. Invest in a small cat fountain and you’ll have a healthier cat. Cats can be very mysterious at times. Perhaps this is why cats are traditionally shown as the companions of witches and are associated to halloween, good luck and bad luck. 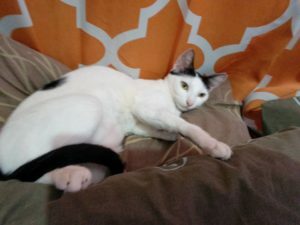 If you already have a cat you probably wonder what she is thinking sometimes and why her behavior can be erratic at times, one minute happy to be with you, the next lashing out. I know this may be a bit contraversial for some but I believe that cats are very sensitive to energy and forces around, and perhaps spirits too. I once saw a thing where a cat would not respond to its name and a pet psychic spoke to it (after the owners could not think what else to do) and found out that it did not like its name! After they changed it’s name it responded fully to its name and was much happier and more engaged with the family. If you’re finding that your cat is showing signs of strange behaviour and you’ve checked all the normal things, if you are spiritually inclined, I recommend you try a pet psychic. You can find out who are the highest rated psychics here. Yes I know that it sounds kind of zany but believe me, cats sometimes need this kind of thing! Feed your cat canned food regularly. Canned cat food usually contains a higher concentration of protein which is healthier for cats, and because it is more moist it’s better for their coat and their skin. Dry kibble also typically doesn’t appeal to a cat’s finicky palate, so a cat may not get enough food and nutrition if this is all you serve it. Mix some moist, canned cat food with the dry every day if you cannot afford only canned food, and your cat will get the nutrition it needs and will ensure it eats enough as well. Only use natural, clumping litter. 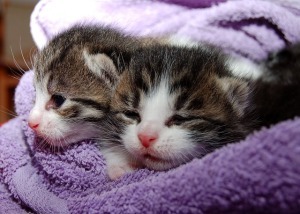 Avoid litters that have certain perfumes added to them and anything other than natural, clumping litter. 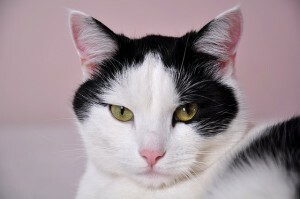 Those additives put into litters to cut down on odors are usually irritating to cats and may cause him or her to try to avoid using the litter box. If possible, avoid liners in the box and if you do use a liner, make sure the litter is very thick so the cat doesn’t touch it. They find these liners also to be very unnatural and upsetting. Keep the box filled with clean, natural clumping litter and your cat will feel more relaxed every time it uses the box and in turn will be healthier overall. Having a dog is a responsibility, as dogs need certain care in order to be healthy and happy. 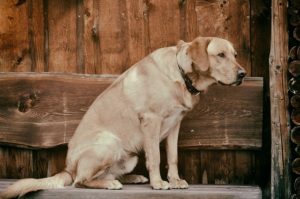 It’s not enough to simply put some food and water in a bowl and occasionally let your dog out to relieve itself, as dogs also need emotional care and specific care for their physical wellbeing. If you or your family keep a dog at home, consider some important tips on caring for it. This will ensure your dog is not only healthy but also happy. Recognize that dogs are social creatures. Dogs travel in packs because they are social creatures who need to be around other animals of some sort. 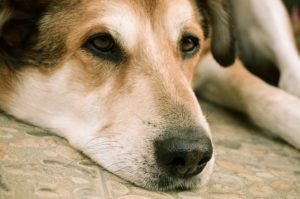 It’s not healthy for dogs to be on their own for long periods of time. If you must go to work every day, consider looking into a type of doggie daycare or kennel service where your dog can be around other animals and people instead. It’s also good to think about getting more than one dog if you need to leave the home often. When you have two dogs together they can keep each other company and both will be more emotionally content. Invest in a good dog bed. Never should a dog be forced to sleep on a kitchen floor or even on a carpeted floor. In the wild, dogs will find softer ground and even clumps of leaves and other materials on which to sleep, and a cold hard floor is not a good place for any dog! Being right on the floor can also mean being in a draft that can irritate your dog’s sinuses just as it might do to humans. A dog bed doesn’t need to be expensive but it should be comfortable for a dog and appropriate for its size. If you live in a colder climate, invest in one made of a warmer material such as wool or fleece. Put the dog bed away from cold drafts and ensure that the dog responds to it so you know it’s comfortable. When you buy dog food, price alone shouldn’t determine the best brand to buy. As with your own food, you want quality choices that are high in nutritional value. The ingredients that are listed first on a nutritional label are the most prominent in that food. For your dog, you want to look for protein including chicken or beef or another meat along with cheese or eggs, and then that should be followed by grains such as rice or meal. Avoid foods that have grains listed first or ones that have protein sources listed near the bottom. This will be what’s called a filler food, or one that has little nutritional value for your dog. Your pet’s health may suffer and it may also have more digestive issues including gas and loose stools. Your dog needs dry food to fill up but moist, canned food will be high in protein and will also help to moisturize your dog’s coat and skin. Experts say that wet, canned dog food is better for your furry friend’s overall health. Feed your dog moist food at least once per day; you can mix it with dry kibble and you’ll see that your dog probably loves the taste even more and will also be healthier overall. Keep these tips in mind when caring for your family pet. It isn’t always difficult to take care of your dog but you do need to remember what is needed for it to be healthy and happy. These tips, along with regular trips to the vet, will ensure your dog is cared for properly. Owning a horse can be a great experience for anyone and especially for children who may love to ride and play with them. Caring for a horse can help children learn about animals and develop a love of nature, and it can be a good way to spend time outdoors. However, horses can be expensive to own and maintain, so consider four ways you can save money when you own a horse. Summer is the best time for hay and you can save money if you buy hay in bulk during this time, either bundling your own or having it delivered. Avoid buying hay in wintertime as you’ll pay top dollar to have it bundled and delivered to you. Make sure you stock up during the warmer months and you’ll save money all year. You also opt to make your own hay in the summer time to save a lot more money! You can choose from different types of grass and legumes that you can use to make your own hay right in your own barn. There are many tips and good resources to help you along in creating the food and making a good life for your horse. It can be good to have a way to store loose grain near or in your barn so you can buy grain in bulk rather than by the bag. Check with a local farmer’s co-op or small farm who may offer better prices on bulk grain, and purchase as much as you can store. This too will save you money all year long. Repair rather than replace equipment. Many pieces of equipment can be sewn by hand if you don’t have access to a sewing machine that can handle leather and other thick materials. You might also see about investing in fabric glues that can help to repair items so they don’t need to be replaced. Blankets and rugs can also be cleaned and repaired rather than replaced. Invest in a brush you would use to clean a car along with some horse soap, and take the time to really clean your blankets and rugs rather than simply buying them new when they get worn down. Check out farms for equipment rather than equipment stores. Very often farms will sell their used equipment for horses for much cheaper than what you would pay at any equipment store. When you need forks, brooms, halters, buckets, and everything else for the care of your horse, look for local farms who have these pieces for sale. Buying them used will be cheaper while still getting the items you need specifically for caring for a horse. Remember these four simple tips for saving money when you own or care for your own horse.